I have had the kayak out twice so far. The first time was for about an hour and did not go too far. I went out on Friday to a lake and was on the water for about 4 hours and went about 4 1/2 miles. It was a beautiful day on the lake. It does not take long to get used to using the kayak. This is going to be great for what I bought it for and that is fishing. I can carry all my equipment and move around and change hooks and lures easily. Had to paddle into a little wind on the way back on Friday. No problem as the kayak cut through the waves and no bouncing over the waves. I am happy with my purchase and plan on getting out even more now. When I first had the Kayak in the van, I could not see out the right hand window so when I arrived at my friends I strapped it to the roof. I was worried that I would not be able to see vehicles coming onto the highway from entrance ramps. I have now got it down pat to strap to the roof. The eye hooks on the motor mount work great for strapping down one end of the kayak. I had the motor on the Kayak for the first time today. Must say it takes a little getting used to but did great. Just one point though, the mount for the short shaft motor should be placed to the rear a little more as the motor will not tilt up and lock in place. I think the tension screw will be enough to hold it up so it does not fall back into the water. I had no problem with it staying in place. I was impressed with the way the kayak cut though the waves. There was no bouncing around going through the waves. It takes a little getting used to using the motor. I like the fact that I have the option of using a motor. 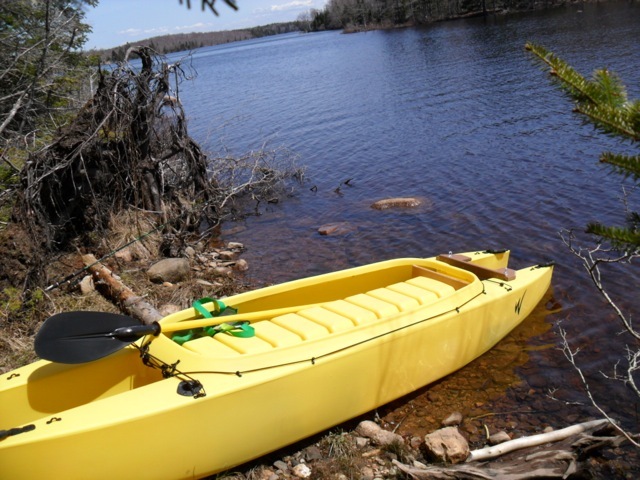 It just makes the kayak more versatile. 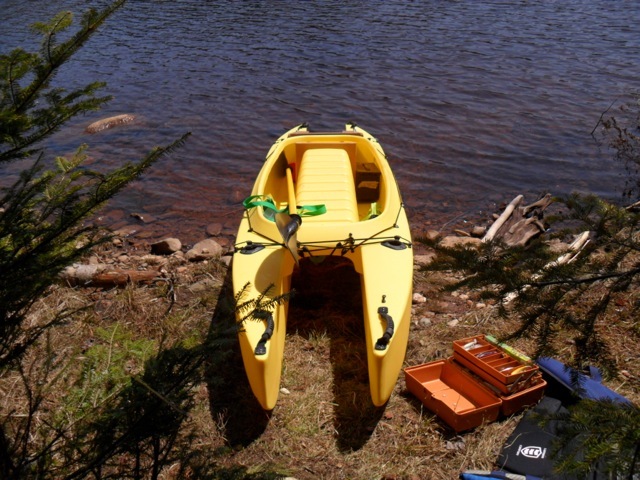 I do like it better without the motor, but the motor will have its time and place when using the kayak. I found it interesting that your video shows that your motorized kayak is perfectly stable, tracks flawlessly, and not a single drop of water gets inside its cockpit – all of the above although the surface of the lake is choppy and you’re driving at a pretty good speed. 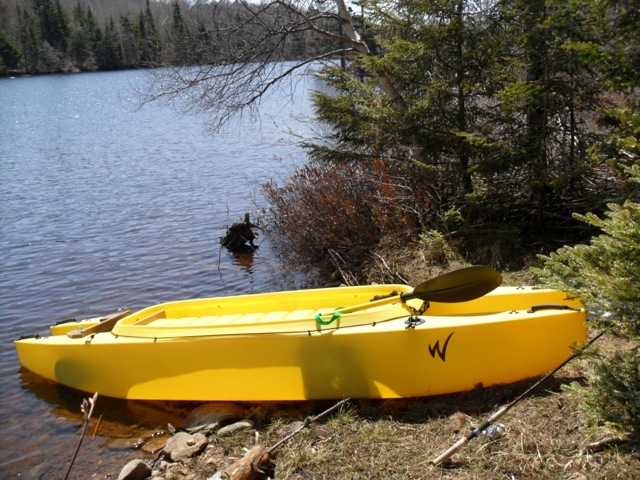 I’d also like to thank Norman, from NewStar Marine, Wavewalk kayaks’ distributor in Atlantic Canada, for helping to get this review published.